This piece was published in the Miami Dade College student newspaper, The Reporter. It’s part of a series of articles I wrote for them between August 2013 and May 2015, now being uploaded in whole to ElMonzon.com. On a regular afternoon, you’ll find Dash Ruiz, 31, sitting at his cubicle in the Media Services wing at MDC-West dressed in a button-down dress shirt, blue jeans and a Space Invaders-themed tie. Ruiz is stout, with a red beard and short black hair. His desktop is adorned with a big landscape picture of the World Wrestling Entertainment Arena and an array of superhero figurines from Teenage Mutant Ninja Turtles to Guardians of the Galaxy. Together, these hint at Ruiz’s after-hours life as Dash Maverick. In that role he calls himself a brawler who can do some damage. Ruiz, a full-time media coordinator at MDC-West, ditches the business casual attire and takes on agitated and angry opponents at arenas throughout South Florida, from Miami to Naples, from Fort Pierce to Tampa. At a U Know Pro match posted on YouTube, Maverick danced in the ring dressed in a dark wrestling singlet bearing yin and yang symbols going up against a lighter opponent, Vinnie Ramagucci. Hoisting Ramagucci up over his head, Maverick mercilessly backflipped, drop kicked and pinned his opponent. The crowd matched the adrenaline and drama in the ring, cheering and chanting for the wrestlers. Men in pink and Arab costumes entertained the audience. With nearly 900 friends on his character’s Facebook page, Maverick thinks of wrestling as a small sample of fame. The physical contact of wrestling is a big contrast to the 5’8”, 265 pound brawler’s everyday work life at MDC—but the adulation carries over. In his College job, Ruiz coordinates the staff at the Media Services Department, attending committee meetings and managing media requests. Galde saw Ruiz perform as Bane from Batman recently at Magic City Comic Con. She also performs with her boss in an improvisational comedy troupe called Society Circus Players. Ruiz devotes 40 hours a week to his job at the College, he spends at least three days a week at a Planet Fitness gym to keep in shape. He also runs the equivalent of a 5K every morning. When he started his formal wrestling training, he studied wrestling moves numerous times as well as the psychology of a match. He also practiced performing and cutting a promo in front of a camera. The catalyst behind Maverick’s wrestling interest was a move from his native New Jersey to Hialeah at age 14 in the late ‘90s. Ruiz graduated from Barbara Goleman Senior High School in May of 2001 but did not practice wrestling during high school. He transferred to MDC’s North Campus to work toward a bachelor’s degree in television production. Cable-TAP, a Miami-Dade County community access television channel, which came under the management of the College in 2008, gave Ruiz the opportunity to come onboard as a student assistant while also getting his tuition financed. 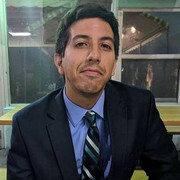 Following Cable-TAP, Ruiz began working for Kendall Campus’ Media Services Department before joining MDC-West as a media coordinator in September of 2012. Maverick met Jorge Portuondo, who runs the independent wrestling promotion Independent Championship Wrestling (ICW) in December of 2002. Both men had goals they sought to fulfill—Portuondo wanted more people to join his independent promotion, and Ruiz wanted to win a heavyweight title, be featured in Pro Wrestling Illustrated’s Top 500 and be granted a tryout with the World Wrestling Entertainment. Of those three, the only one he hasn’t accomplished is the last. The accomplishments didn’t come easy. 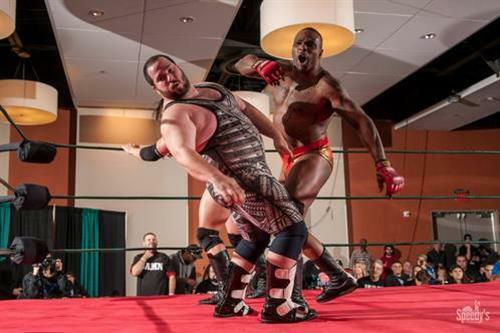 Local wrestling schools were hard to find in Miami, until veteran wrestler Rusty Brooks opened his wrestling School of Hard Knocks in Hollywood, Florida. Maverick started training three times a week, garnering the attention of other indie promotions such as National Wrestling Council and Uproar Pro Wrestling. Throughout the years, he would engage in tag team fights with other wrestlers such as Shawn Prime and Aron Agony and even his brother, Speedy Ruiz, 25, who began photographing his training sessions and matches and now does photography for multiple wrestling events. Across multiple independent promotions, Prime and Maverick would show fans a little piece of a developing storyline, which involved Maverick’s own girlfriend at the time turning on him and joining Prime’s team and Speedy being forced to wrestle his own brother. Maverick even went to such lengths as to pretend his brother had hacked his Facebook and was posting nasty comments. Indie wrestling typically complicates efforts like this because since wrestlers aren’t bound by contract to a specific promotion, a supposedly disabled wrestler may be seen wrestling in another city the next week. Profit isn’t the motivating factor behind Maverick’s wrestling involvements—often times, the profit from wrestling at an event is enough to cover food and gas expenses.